Markham builder loan financing can be provided to both professional builders that are building out inventory or pre sold homes or buildings for resale, or property owners that are looking to either self occupy or resell then property upon completion of the work. For professional builder loans, there may be additional financing requirements such as home warranty insurance that may have to be in place in order to secure financing. As a self build applicant, there are few restrictions for construction financing due to at least the initial perception that you are not in the business of building for the purpose of resale. Builder loans for either professional builders or self build scenarios can both be acquired through bank or private lending sources. Bank construction financing programs do require a fair amount of qualifying information and can take a considerable amount of time to get into place. Because banks in general are only focused on “A” credit business, the requirements need validate that the application is indeed low risk in nature and deserving of the lower level interest rates. Self build loans will typically require the property owner to also qualify for the long term take out mortgage at the same time as the builder loan. Most banks are not interested in any type of residential or commercial self build financing unless they can also secure the more lucrative and lower risk long term take out mortgage as well. Because of their speed in making financing decisions and the lower levels of administration associated with securing and managing the loan during construction, private mortgages are the first choice for builder loans for many individuals. While the rates and fees are going to be higher with private financing, the benefit is speed and administrative simplicity that many builders are prepared to pay for in order to more effectively manage their projects. All construction projects will have an optimum borrower/lender fit depending on the nature of the project, the requirements of the borrower, and the timelines you have to work with. In order to better determine how to locate and select the most appropriate source of Markham builder loans, builders would be well advised to work directly with an experienced construction mortgage broker who has access to both bank and private lending sources. 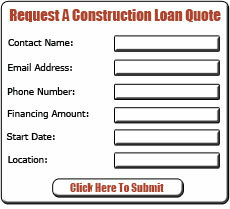 If you’re planning a project or are in the middle of one and require a Markham builder loan, I suggest that you give me a call so I can quickly assess your situation and provide relevant construction financing options for your immediate consideration.